Last week we enjoyed another lovely week at Center Parcs – I think this is the fifth time we’ve been in the last three years. 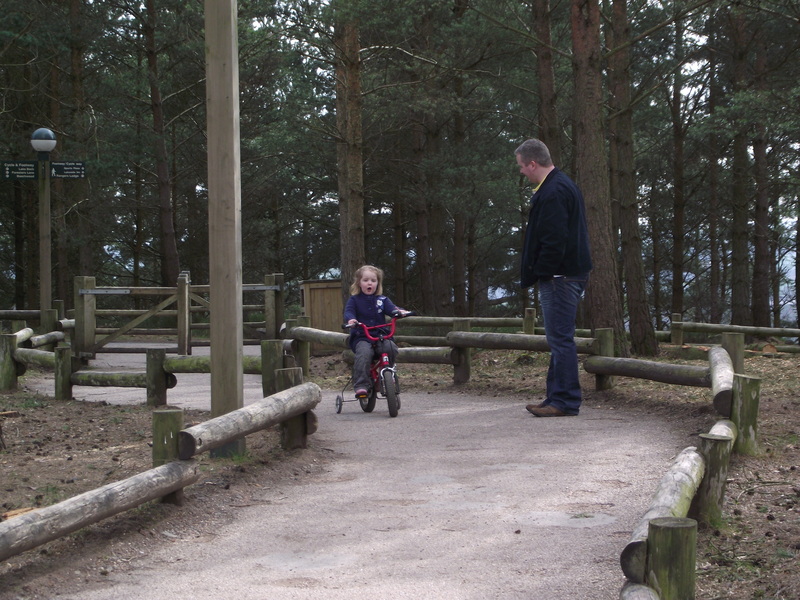 For the second time we went to Whinfell Forest, in the Lake District, and were lucky to reap the benefits of the unseasonably sunny and warm first week of spring, in fact the best weather we have ever experienced at Center Parcs I think. For the first time we tried out quite a few activities – Lilly did Make A Memory (making a handprint in clay and decorating the box to keep it in), Little Kickers football, Active Tots (which, at three years old was probably a bit too babyish for her, but she still enjoyed it) and Party Hour in the Time Out Club (they play party games while the parents get an hour to themselves – in theory. That was, of course, the one hour of the holiday when Isla decided to throw a bit of an “I-don’t-want-to-sleep-in-my-pushchair wobbler). 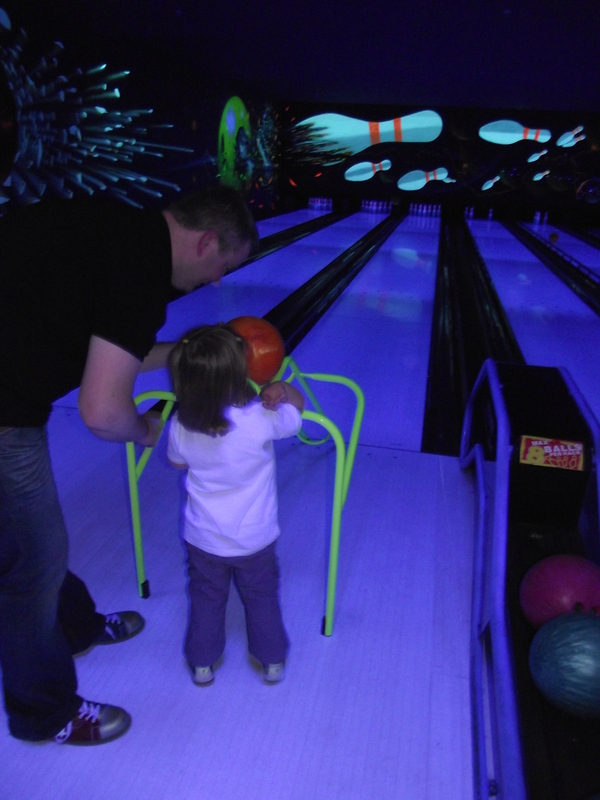 We also did the usual swimming and had a game of bowling, which Lilly loved. Other highlights included spotting frogs by the edge of the stream and Lilly helping me with the shopping by pushing one of the little trolleys (she was a little bit better at steering it this time! 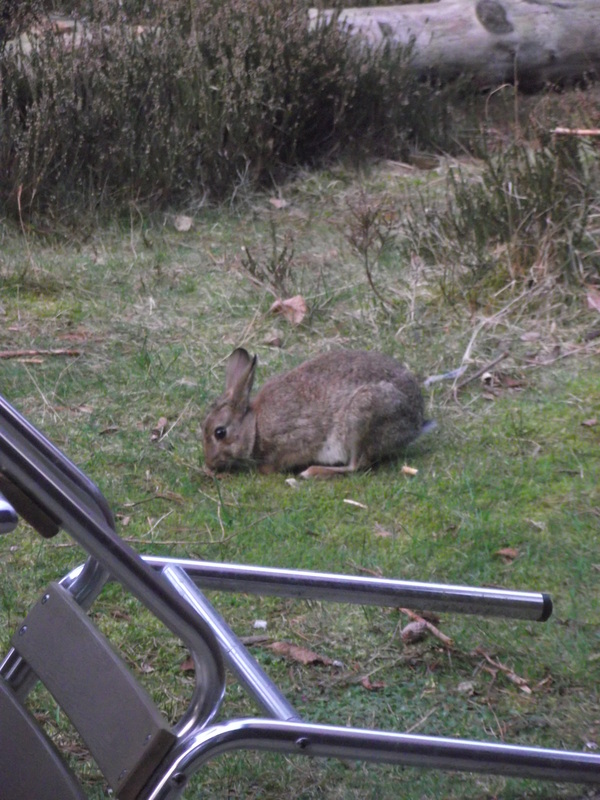 ), and the animals we spotted from our window – all kinds of birds, red squirrels, rabbits and even a deer. Sleeping wise we had much more success than last time. We learnt the lessons from staying in a two-storey house where Lilly wouldn’t sleep because it was a strange environment and because mummy and daddy were too far away (i.e. downstairs). We went for a single storey villa this visit and Lilly went off to sleep great every night and (except the first night) slept right through. (In fact, both girls even slept through my unfortunate setting off of the smoke alarm incident – a tip for other visitors: use the extractor fan while cooking…) It took Isla a little while to get used to the new place – the first night she went to sleep fine but then started waking up crying every hour. For a few days she protested loudly about napping in the cot. But it wasn’t a major issue and after a few days she was fine. As for Tony and I, we were so exhausted after all the walking and activity with the girls during the days we were asleep by 10pm most nights! This time I really expected Isla to LOVE the swimming, because she really enjoys bathtime and splashing with her sister. But, just like last time, she remained very serious faced throughout the experience with an expression that seemed to say “Er, mum, you sure this is safe? !” I think it is the noisy atmosphere that she’s unsure of, rather than the actual pool. But there was less crying and screaming when it came to getting dressed again at the end, which made the experience less stressful than when we went in September! Mind you, they have the changing rooms so hot that by the time we were all dry and dressed Isla had gone redder faced than I have ever seen her before and we were actually a bit worried about her so dashed outside to cool her down. 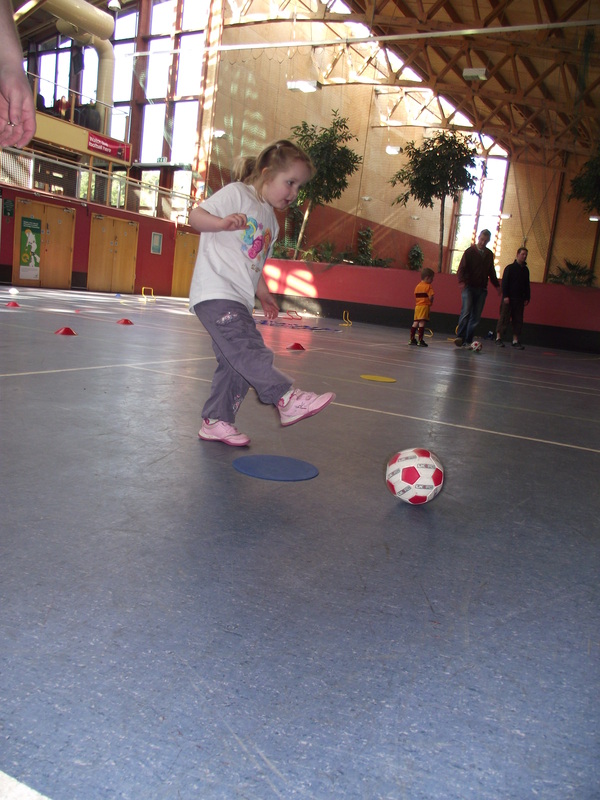 Watching Lilly playing was a joy – she is such a sociable little thing and just loves other children. 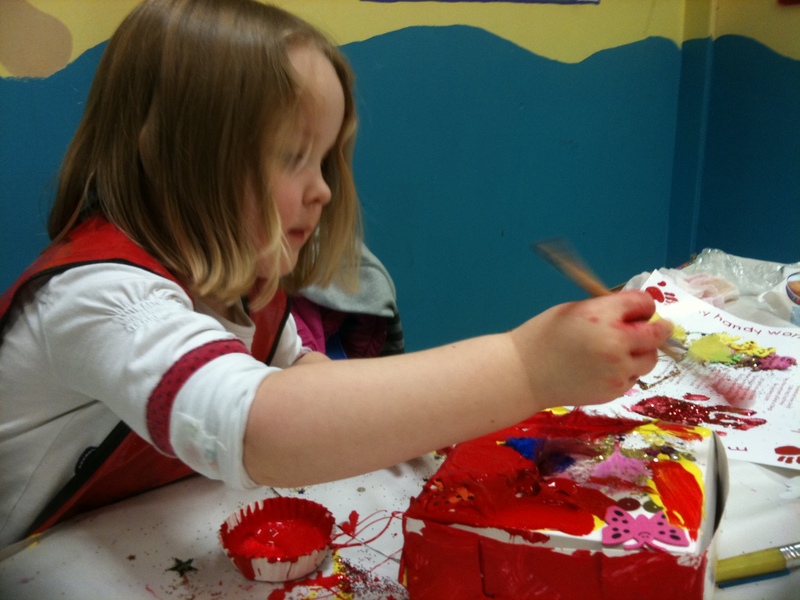 Whenever we went to one of the softplay areas or playgrounds she was making friends – all I could hear was her chatting away to other children and introducing herself saying: “I’m Lilly! I’m three!” She still doesn’t entertain the idea of sliding down any “tunnel slides” which she is scared of, even if one of her new found friends tried to persuade her to try it. She is brilliant at taking turns, to the point where she will happily let several children overtake her! There was one incident where a little boy was nasty to her (we didn’t see what happened) and she said she was going to “run away very fast” but apart from that it was all good. 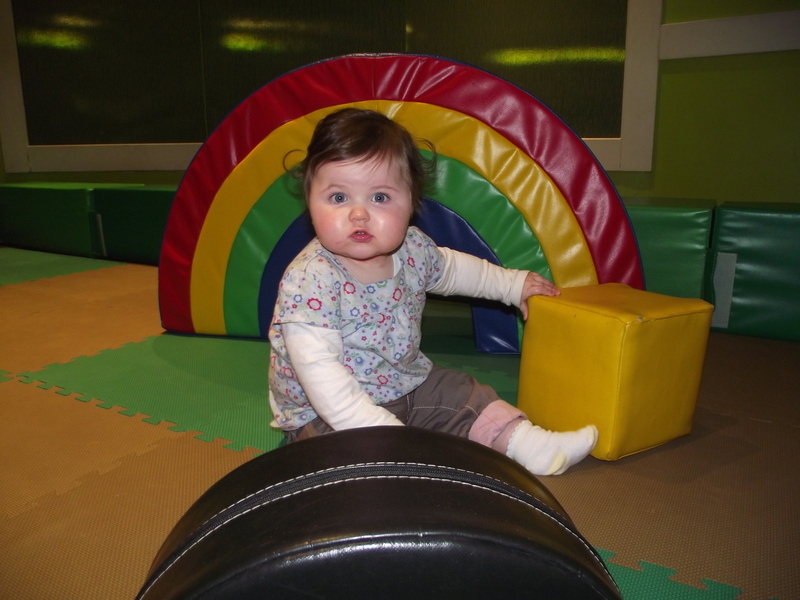 Isla had a little sit in the soft play areas too – there’s only so much she can do as she still can’t quite crawl yet, but she seemed to enjoy watching what everyone was up to. And Tony and I remained steadfastly on the Weight Watchers – we expected we would fall right off the wagon and although we did drink wine every night we managed to resist the numerous chocolate, doughnut, cake, pizza and bread shaped temptations that were winking at us in the supermarket. We packed salads for our picnics everyday and because we were so active and too busy to sit and snack we actually both managed to lose a few pounds – result! 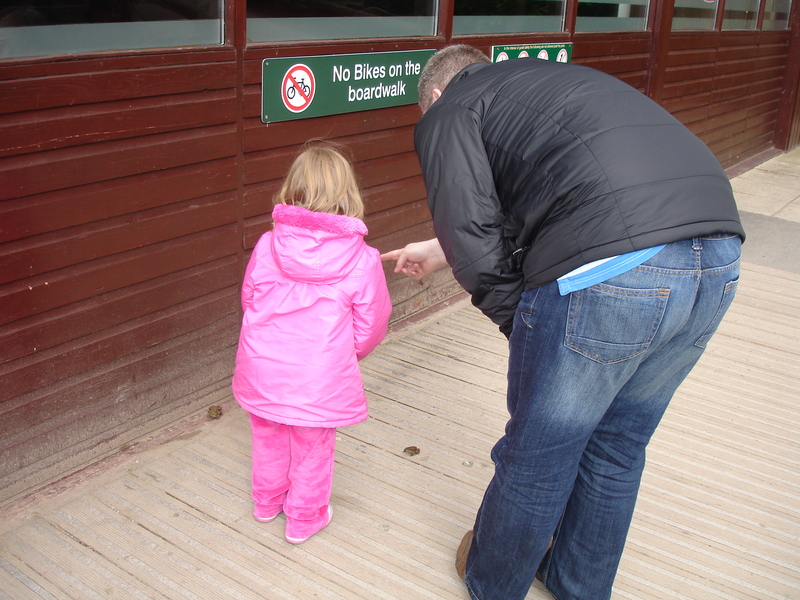 But yes, we remain big fans of Center Parcs and I am already persuading Tony that we need to book another break for later in the year, when Isla will be a little older and able to join in the fun even more.